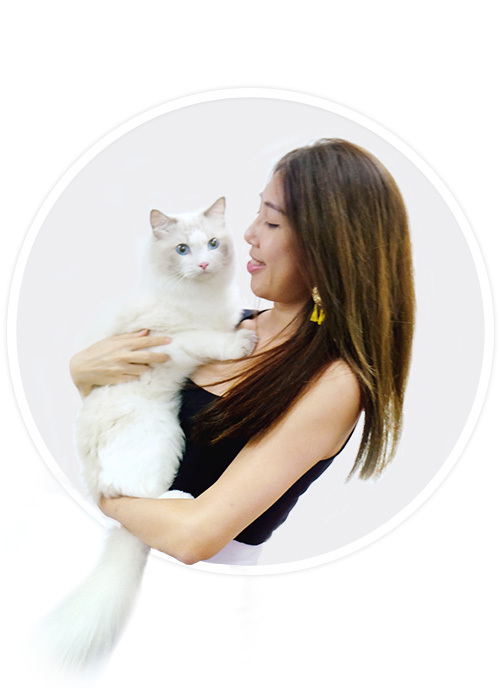 The Nekoya Cat Hotel is Singapore’s leading provider of private cat daycare and private, professional boarding services. Every cat that comes and goes through our door is a treasured furry friend – And we want to help cat owners take much needed vacations by being able to trust us with their cats when caring for them personally sometimes isn’t possible. 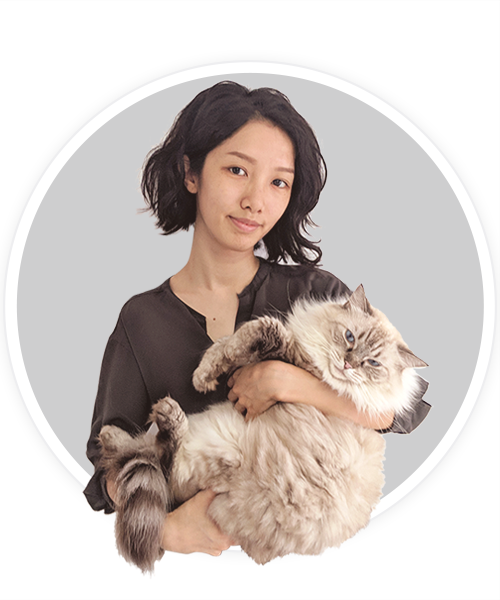 Working at the Nekoya Cat Hotel means you have to be a dedicated cat lover, and understand our clients with a whole heart – Not just our human clients, but the feline ones, too. Do you have what it takes to be part of our team? Our vision is to provide a superior boarding experience for as many cats and their owners as possible. We want to transform how cat owners travel, and let them travel happy. We aim do this through being Genuine, Honest, Passionate, and through our four pillars of Holistic Cat Care. 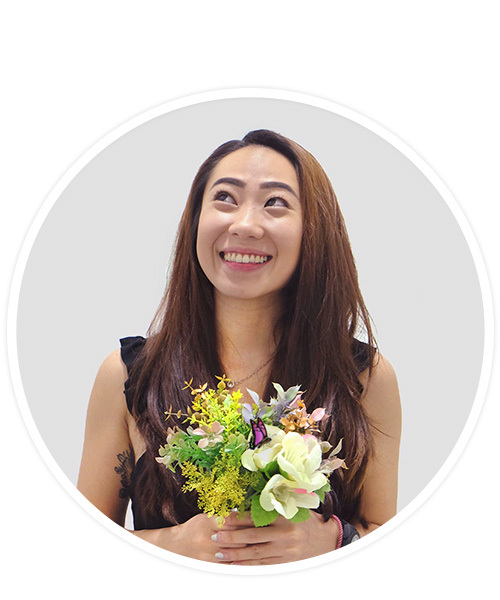 As founder of the Nekoya Cat Hotel, Debrah is passionate about continuously exploring new and exciting ways to enrich the lives of pet cats and their human companions! If she isn’t knee deep in work or pre-occupied with watching the latest episode of Dexter, you’ll find Debrah enjoying a quiet moment with her cat; Choops, in a tranquil corner of her little home with a warm cup of tea. 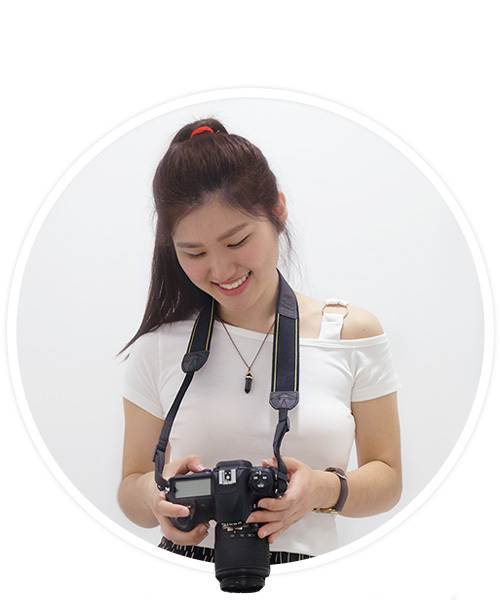 The kind of girl you’ll find at a party hanging out with the guests’ pets, Dionna is an all-around animal lover and photography enthusiast – Which makes Nekoya the perfect workplace for her, because she gets to pet AND photograph cats every day! When she’s not lending her lap to the snuggliest kitty within a mile, you’ll find Dionna cuddled up at home with her cat; Snow, binge watching Netflix or enjoying a good ol’ Vegan burger. Ivan is a lover of all animals, big or small. Before Nekoya, he used to work at the Singapore River Safari, and a testimony of his love for them lives on in the form of an adorable panda tattoo on his hand. 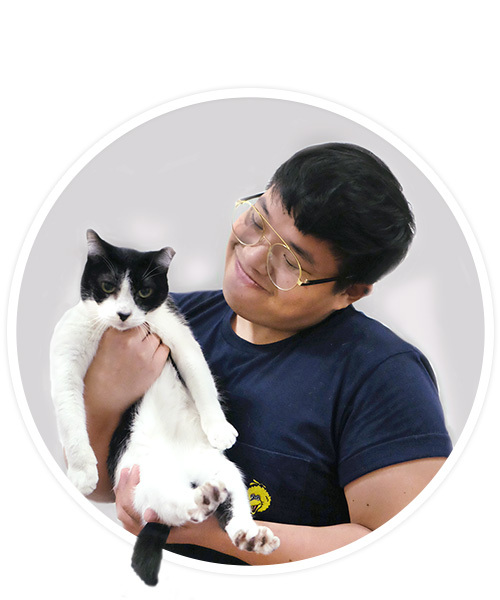 Ivan has always had a fascination for cats – So when he’s not buried in books about how to improve standards of care for his feline charges, you’ll find him baking cakes or pastries for family and friends! 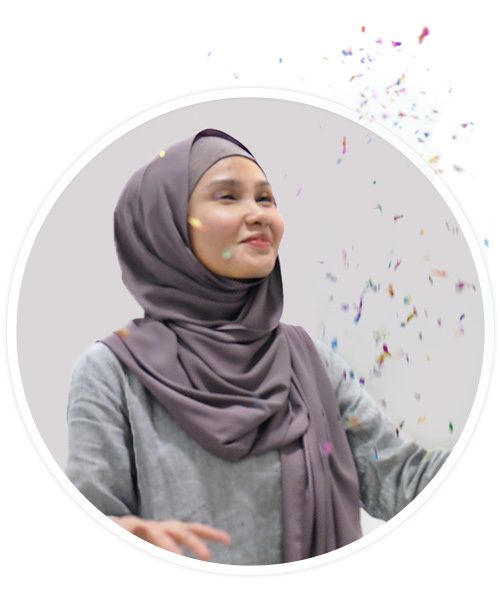 When her son graduated from school, Suria threw in the towel and bid the corporate world goodbye! Now, she’s enjoying a pretty awesome early retirement at the Nekoya Cat Hotel. Our resident clean freak, she loves making sure every nook and cranny is spotless and neat, and her love for cats has manifested in feline nutrition savvy. Outside of work, you’ll find Suria at home tending to her 2 brachycephalic feline overlords; Arici, 4, and Amer, a grumpy 12 year old who refuses to put up with Arici’s antics and mischief! Everyone who knows Tessa, knows how much she loves cats. Since her secondary school days, she would often be found hanging out with community cats in her neighbourhood. Being a caretaker at Nekoya is the perfect fit for her as it also nurtures her to be a better pet parent. Especially now that she has one of her own – a 5-year-old cat named Pom Pom. When she’s not doing anything cat-related, Tessa runs her own music production company and is usually found playing computer games on the weekends. Having grown up surrounded by dogs and cats, Rachel’s love for animals started at a very young age and developed a natural affinity with them. Working at Nekoya is more than just a job to her, it allows her to pursue her dedication towards bonding with animals. In her time outside of Nekoya, she also runs a local photobooth company. She is at her happiest when she’s snuggling up with her dog, enjoying a Netflix marathon, going to concerts & festivals, or taking a beach holiday. Being a Cat Caretaker is no easy feat – Our feline clients are very demanding and deserve only the best. Being part of the Cat Care team means you assume the responsibility of caring for our guests while their families are away. It’s a challenging role that demands high attention to detail, but is oddly satisfying when the cats begin snuggling up to you to show their appreciation for the work you do for them! The Marketing Executive for The Nekoya Cat Hotels is a key role within the organization as you will be responsible for the planning and execution of all digital and traditional marketing activities. You will be in charge of further establishing the brand’s positioning and resonance with potential clients and ensuring that branding activities are consistent across all our channels. A love of cats ranks among the top qualities we require for the people we select to grow our team. You must be creative and willing to think outside of the box. Who Is An Ideal Candidate for this Role? You can multi-task and work independently. You have a basic to intermediate understanding of cats, and cat behaviour. Knowledge of cat nutrition and health is advantageous. Interested applicants may email [email protected] with your resume and expected salary. Only short-listed applicants will receive a reply, within 7 days of submission of the application. While a love of cats ranks among the top qualities we require for our caretakers, additional skills are also just as necessary. Dealing with our clients requires excellent levels of customer service skills and the ability to empathize with cat owners is essential. The job scope also requires high attention to detail, meticulous levels of cleanliness and patience when dealing with cats. It may also be physically demanding at times. Caring for feline guests requires our caretakers to have the ability to remain calm during emergency situations. Knowledge concerning basic pet first aid, prior veterinary work experience and volunteer work at animal shelters is a plus. Interested applicants may email [email protected] with your resume and expected salary. Only short-listed applicants will receive a reply, within 3 days of submission of the application. We’re looking for part-time help for the holiday season. A firm commitment of at least 3 days is required (2 weekdays, 1 weekend weekly – Public holidays included). You musn’t be afraid to get your hands dirty, and must be able to confidently handle & interact with cats. Interested applicants may email [email protected] with your resume. Only short-listed applicants will receive a reply, within 3 days of submission of the application.